During the height of the Gulf oil spill, there was a debate in the Senate over a “resolution of disapproval,” aimed at taking away the EPA’s self-empowered authority to regulate greenhouse gas emissions. We reported it here. It failed. 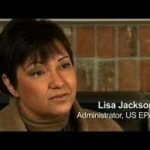 On Friday the U. S. Chamber of Commerce filed suit against the EPA in the U.S. Court of Appeals for the District of Columbia Circuit, once again challenging this gross misinterpretation of the Clean Air Act. So, what this means is that today, Congress has delivered still another blow to the Louisiana economy, they have granted federal agencies the authority to enact policy, they have condoned federal agencies adjusting the wording of legislation, they have increased our costs of obtaining fuels, they have increased our dependence on foreign oil, and they have increased the flow of our currency to countries that despise us – all in the name of reducing carbon emissions which, on a global scale, they didn’t achieve. based as they are on selectively edited, out-of-context data and a manufactured controversy — provide no evidence to undermine our determination. 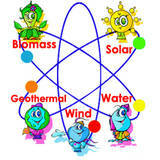 Excess greenhouse gases are a threat to our health and welfare,” EPA Administrator Lisa Jackson said at the time. Once again, blind ideology triumphs over reason, and the EPA Administrator, appointed by the Obama administration, perceives herself, with the implied endorsement of the Senate, to be empowered to create and interpret legislation rather than simply enforcing policy. 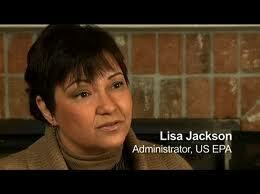 We did not elect Lisa Jackson to write legislation. Now the courts can decide if that matters.